Style, for Bowie, is inextricable from art. It is less a flight from reality than an entire way of life. A richly-illustrated 160-page chronicle of pops greatest exponent of style. 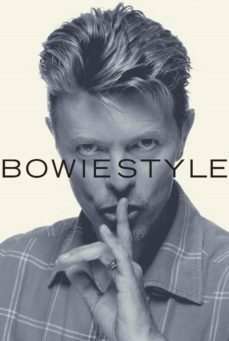 This visual examination of a celebrated multi-faceted career documents the impact of David Bowie on twentieth-century fashion and culture, brilliantly capturing his spatial odyssey from dedicated follower to supreme arbiter of rock chic. The range of photographs is staggering. From his humble Brixton beginnings to the classy pop icon in the last quarter of the old millennium, the book shows a changing glamour gallery of Bowies down the years, all different and yet somehow all unified by an unerring grasp of Style with a capital S. Featuring previously unseen images, an exclusive two-page interview with photographer Mick Rock; contributions from ex-manager Ken Pitt, as well as previously unpublished extracts of Crankin Outs interviews with collaborator Tony Visconti, clothes designer Natasha Kornilof and Manish Boy Bob Solly.